Harley eats a lot of stuff. 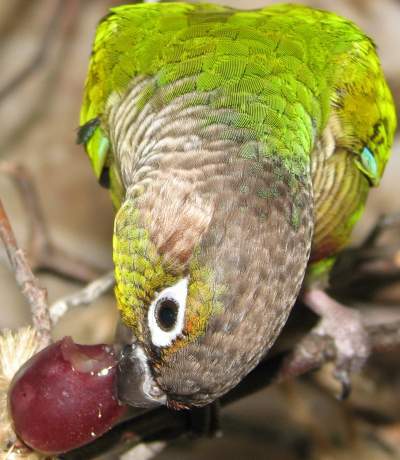 Mostly he eats real bird food, but fruit is good for him, too. 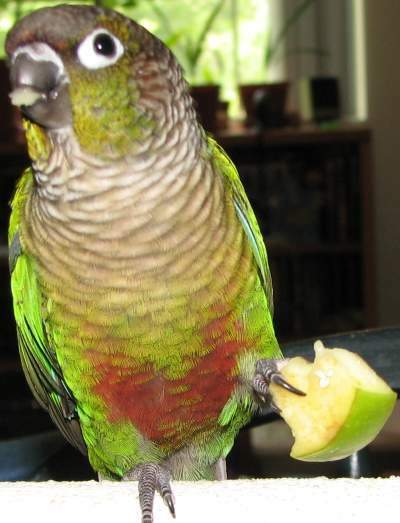 He really enjoys apple. Mrs. splorp! 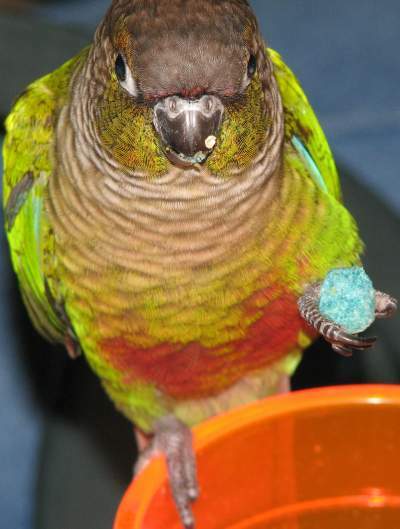 will slice it up most mornings and slide it over the end of the sticks in his cage so he has to go searching for it. While he really likes grapes, they... um... "loosen his bowels". If you know anything about birds, you know they're loose enough. Speaking of... 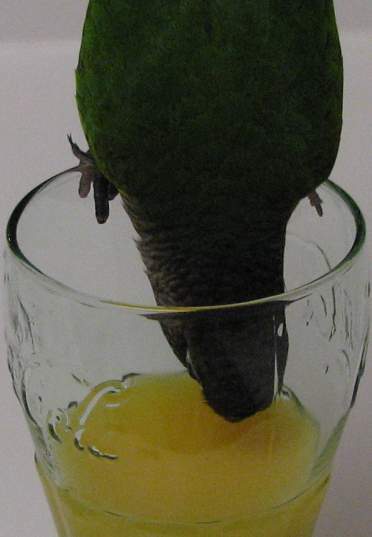 He has a bad habit of stealing my orange juice. If I don't keep my hand on it, he will climb right up the glass (Note the high quality Coca-Cola® glass). And if I take my hand away from my orange juice... he ends up with my Cap’n Crunch. 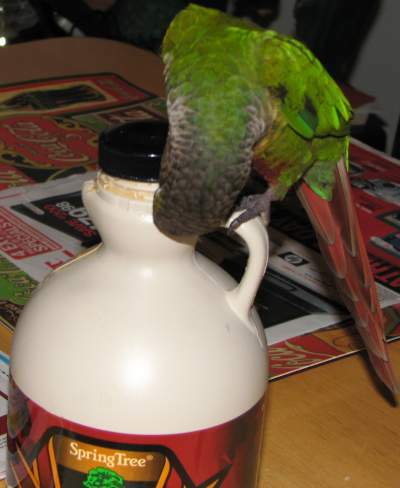 Or climbs up the maple syrup bottle to steal maple syrup.